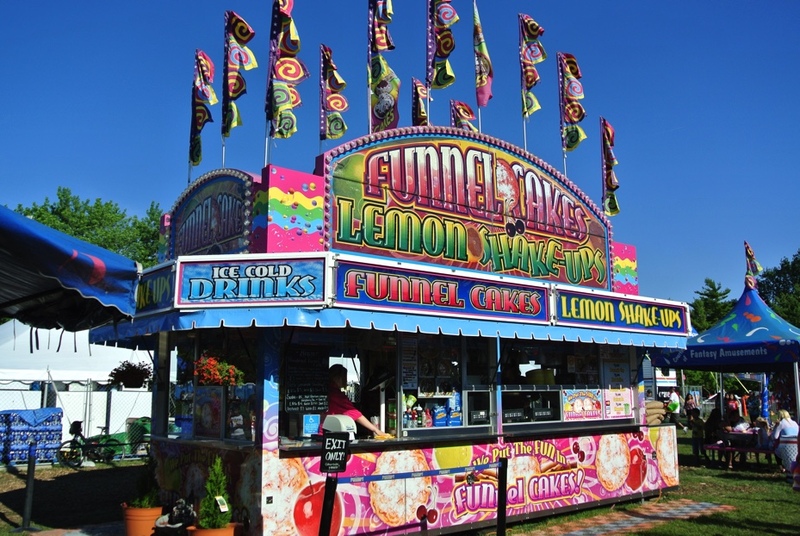 We put the FUN in Funnel Cake! That’s our tag line and our motto! Along with funnel cakes we have many delicious toppings to add to create your own FUNnel cake! Fresh made lemon shakes ups, cold bottled water and various other beverages quench your thirst. 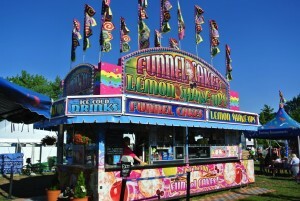 Look for our Specialty Topping Funnel Cakes at an event near you! 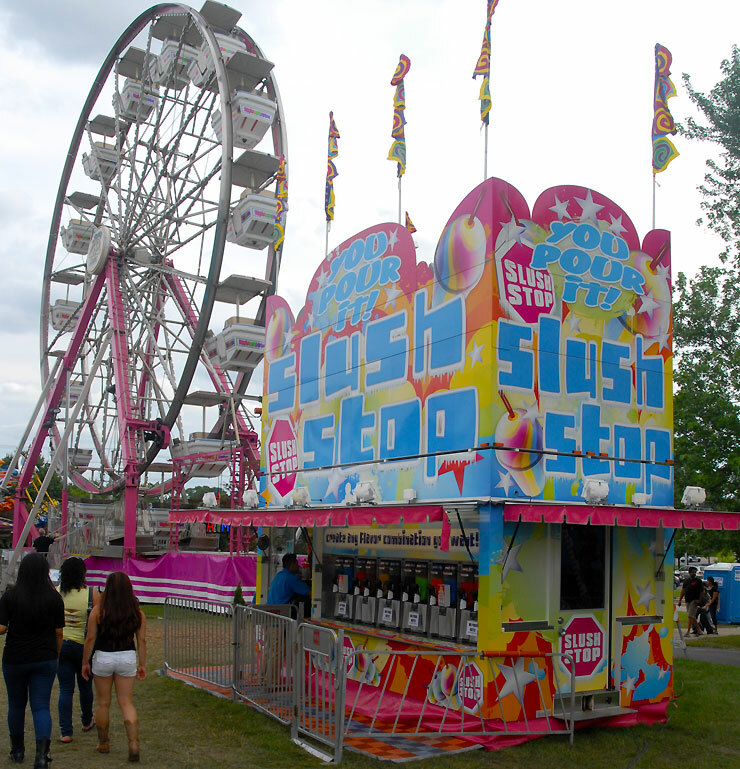 Popcorn Wagon – where we serve up traditional style carnival/festival food including Hand Dipped Corn Dogs, Freshly Popped Popcorn, Hand Dipped Caramel Apples, and Freshly Spun Cotton Candy. Other Menu items include Nachos, Pretzels, All Beef Hot Dogs and Polish, Pizza Puffs, Sno Cones and other refreshing beverages. 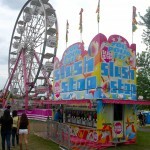 Slush Stop – Pour your choice of tasty flavors for a cool treat! Take home a souvenir cup! 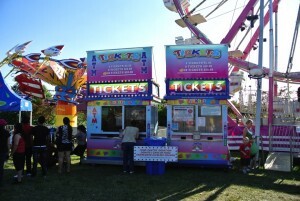 For your convenience, Credit Cards are accepted at our Funnel Cake Wagon, Popcorn Wagon and at our ticket boxes. 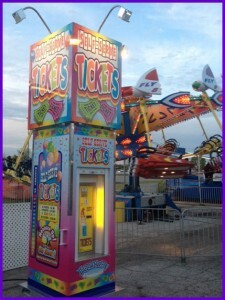 ATM machines are placed through out the midway, and placed in the Slush Stand. We provide family style entertainment and games of skill to suit all ages; from the Lucky Duck Duck Pond, the Catch a Frog at the frog pond for the wee ones, to the group games like the Water Gun Fun Water Race or Roll a Ball Derby. We have family favorites onsite like the Dart Balloon and Shoot Out the Star. 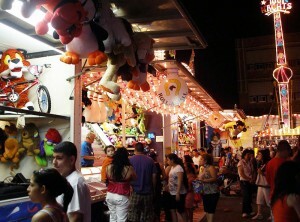 We make sure we see lots of smiling faces and lots of prizes all around the midway! 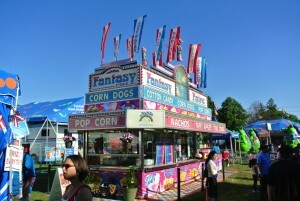 Complementing our Theme Park Style Rides, Games and Concessions, Fantasy Amusement Company, Inc. has placed throughout the midway, benches to rest and/or sit to observe your kids while they are enjoying the event. Strategically placed are Hand Sanitizer stanchions for our patrons convenience. We strive to make your visit comfortable and a great experience. 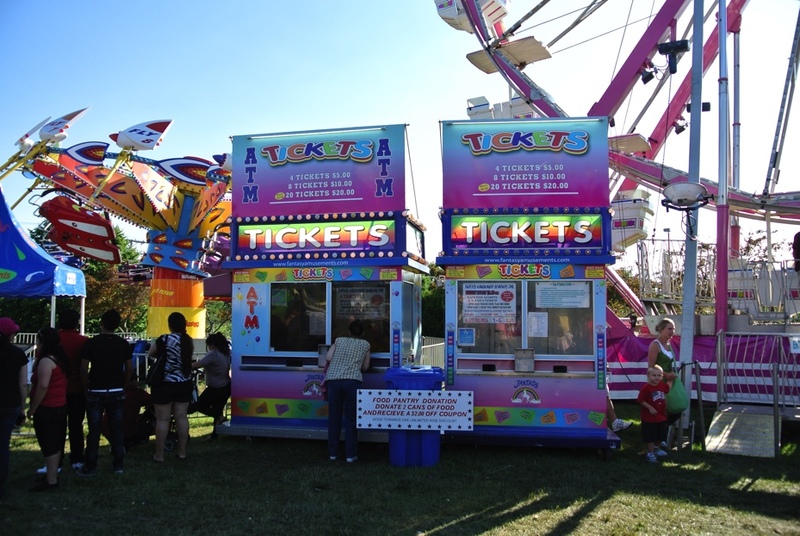 Clear, Visable and Informative, easy to read Signage is available on Each Ride and at each Ticket Box for your Safety and Convenience. We Feature our Self Service Ticket Boxes, for when the lines are long for credit card sales. These machines accept cash only and exact denomination is required.